This is a really sad week in the University of Benin, as the school was thrown into Mourning after a reckless driver, an Army driver killed some students of the varsity. It is really with great sadness today, that I received the news of the death of this promising young girl named Rita. The picture below is Rita, who was among the girls we lost on the 19th of July, which was called Black Sunday throughout the school. 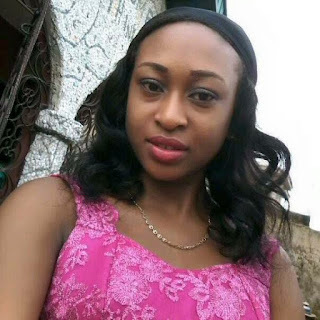 The University of Benin (UNIBEN) lost Rita, along with other students along the Benin-Lagos Express Way (Main gate) to the hands of a reckless army driver. She was a 200L Philosophy student, who only went to church on that fateful day and was hit on her way back to her hostel from the church. 1. THE Uniben SUG discloses that the victims, both the other student in the hospital and the family of the deceased student are adequately compensated. This was addressed in a letter, sent to the Nigerian Army from the school SUG body. 2. The SUG is also making sure that the reckless Army driver is brought to book. That is, he must be prosecuted accordingly and sent packing from the Army, because he acted recklessly. 3. THE SUG body is also trying to ensure that the School Management will add speed breaks and safety signs at main gate to forestall any further occurrence of this incident. While speaking on this issue, the President of the University of Benin Student Union Government (SUG), and the Attorney-General of the SUG, including the State coordinator of PDP STUDENTS MEMBERS condemns this act and said they won’t allow the government to sweep this issue under the bridge for this is nothing short of a violation of the University’s Student right to life, which is currently entrenched under section 33 of the Constitution of the Federal Republic of Nigeria 1999 as amended. Together, we the entire Students of UNIBEN condemn this act and declare OPERATION NO MORE STUDENT WILL DIE AT MAIN GATE. THE Dailyschoolnews Nigeria team wishes to express her sincere condolences to the students of UNIBEN and wish to lend my voice to their demands by using our platform, to broadcast this information to the world. Today, we pray that may the soul of the departed rest in perfect peace and may the other students involved have a speedy recovery In Jesus Name. Please don’t stop here. SHARE this information with your friends using the share buttons below.